You know that feeling? I call it a yoga high. When you get out of class, feeling so good you don't really know what to do with yourself. You're buzzing, everyone looks beautiful, you see people in their aura and catch strangers staring at you on the street. So you stop or wander to bask in this blissed out feeling you don't ever want to end. This state can feel like a momentary departure from Earth—from the frenetic pace of life in New York City, at least. When this is happening on the outside, we often don't realize what's happening on the inside to cause this feeling. What actually makes a person leave the studio, feeling like they're floating, and want to come back for more—addicted, like a drug. Except it’s not a drug. It’s not even the yoga. It’s the breathing, moving, living, you. What's happening is you're changing. This process of movement is re-wiring your brain, changing your biochemistry, getting you out of your head and into your body. It's creating space for you to heal. It's causing you to forget about all the things on your mind. It's bringing you into being. And when we are in a state of being, we feel good. Ask any yoga teacher or student, and they know this. And now we're starting to have more studies to back this up. Feeling good is no lie. And it's ability to cure long-term depression is no lie either. According to a new study led by Lisa Uebelacker, PhD—a research psychologist at Butler Hospital (a Care New England hospital)—and an associate professor of psychiatry and human behavior at the Warren Alpert Medical School of Brown University, this yoga-induced effect helps cure severe depression. In America, more than 15 million adults suffer from depression alone—about 6.7 percent of the US population aged 18 or older in any given year. It’s crazy for some to imagine an ancient practice centered around breathing and movement as a cure for depression—especially in American society, dominated by big-pharma and drug stores disguising our prescription drug epidemic. In Western cultures the most common treatment for depression remains anti-depressant medicine and psychotherapy. But this new research puts science behind the claim that perhaps there is a better way to heal. Now that surmounting research from top institutions such as Brown, Harvard, and Boston University validate the healing that happens on a scientific level when one practices yoga, it’s helpful to understand what happens in our body when we prescribe yoga as a primary treatment for depression—and why it’s so effective. The practice of yoga includes moving in an easy-going way, connecting with your breath, inhaling to lift, exhaling to soften, rolling slow up to stand, and inversions as simple as hanging your head between your feet. This process of breath-body movement releases a floodgate of feel-good endorphins into your body. Inverting is an instant rush of blood to the head, causing a natural reset and energy boost. It takes your body out of cortisol overdrive, and starts releasing hormones that make you feel good. When you feel good in yourself, you share the experience of feeling good with others. Not only is it natural to want to connect and socialize with people, but it makes more people want to be around and socialize with you. Feeling good is magnetic. When you are stressed out, burnt out, and living in overdrive, your body enters into a stress response. And rather than short-term protection—like in a fight-or-flight situation—you start to live your life in this state. As a result, your body is bathed in the stress hormone cortisol and functioning is impacted on every level. Today, stress is the number one cause of nearly every major health issue Western medicine faces. By coming back to your breath, and connecting your mind and body, you stop the stress response cycle, and enter into a relaxation response. This is where healing happens. In this space mood shifts, energy heightens and outlook improves. Yoga causes natural weight loss and balances weight because of what happens before you even make food choices. This happens in your mind, and it’s connected to stress. When stress dissolves, you’re able to sensitize to how you feel. This causes you to begin listening to your body. You make choices not out of tension, but to feel good. When this happens, all areas of your life change, including what you choose to consume. The practice of yoga causes you to sensitize to how you’re feeling. And instead of fighting how you feel, you start to believe how you feel is a good thing. You start working in unison with your body, instead of being at war with it. You get out of combat-mode, and into feeling-mode. By getting out of your head, and into your body, and responding to what it’s telling you, you release stress, rather than accumulate it. When you drop the stress, you unlock your true potential. You reach beyond your goals, in an easy-going way. This changes everything, when you become more capable. You stop surviving and start creating. This study published this April is the largest of its kind to link the cause-and-effect between depressed subjects and consistent yoga practice. 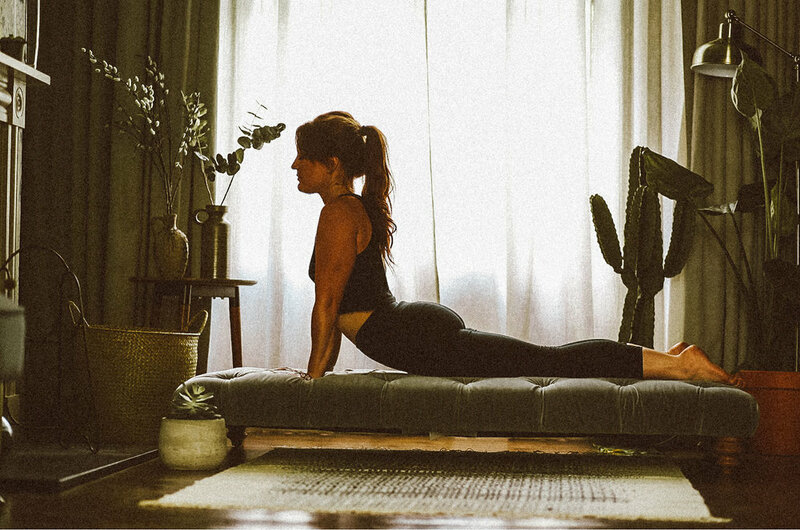 By indicating the accumulated impacts of yoga over a longer period of time, it shows the health benefits of yoga, not just as a class you sometimes go to, but as a practice in life. Any time you connect to your breath, you are doing yoga, and getting out of a stress response, and into a relaxation response. What no science can prove is the relationship yoga causes you to form with your own body. This is helpful for all people, especially people experiencing a major depressive disorder (MDD.) It is only when you work in unison with your body that you are able to heal and come back into being. Good news is, yoga is a gateway there. And although you may experience a yoga high, it comes from nothing more than you, experiencing you.